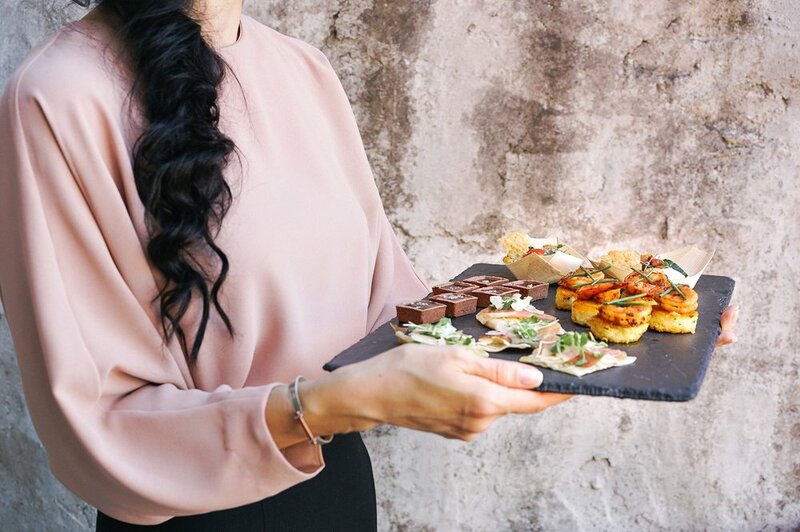 Let us help you make your next event awesome; with delicious dishes, colourful canapés, sharing platters and fresh juices to tickle every tastebud. Enjoy exclusive use of our light, beautiful space - perfect for intimate events. We’ll treat your guests to a colourful array of nourishing, seasonal food and introduce them to new ways of indulging. Choose from sit down dinners, drinks parties or let us prepare canapes and sharing platters. Prefer to have the party at your place? That’s fine too! We’ll provide the good stuff; tasty canapés or a dinner freshly prepared in your kitchen. Choose favourites from the menu or opt for a bespoke selection; we’ll work closely with you to coordinate an effortless evening. Our sharing platters are an easy, impressive way to cater corporate events and meetings, and we cater for retreats too. Introduce others to the world’s most sophisticated mind-body wellness system with an immersive experience. Each of your guests will learn their Dosha type and the best food and lifestyle choices for them, while a carefully curated tasting menu introduces the six Ayurvedic tastes, with guidance for balancing their unique properties for optimum wellbeing.